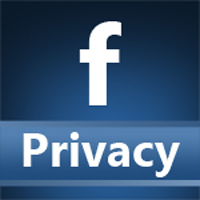 Facebook has dealt with a string of major privacy controversies over the past year, and according to a new study from the Pew Research Center, they’re starting to take a serious toll on the social media giant’s public perception. According to the study, a full quarter of American Facebook users have removed the app from their phones over the past year, while over half have adjusted their privacy settings in some way. Meanwhile, four in ten users say they’ve taken a break from the platform that lasted several weeks or even longer. Facebook has scrambled to respond to this rapid decline by stepping up its efforts to educate users about their own privacy. However, these steps may prove too little, too late for the company; according to the study, young people are deleting the Facebook app at a far greater pace than all other users. If Facebook can’t hook the next generation of users, it might be in trouble sooner rather than later. And it all stems from the site’s tone-deaf approach to our privacy.